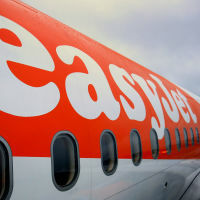 The carbon emissions of EasyJet flights have been cut to their lowest level on record, the budget airline has reported. Lighter seats, the use of one engine while taxiing and the use of tablets rather than laptops have all helped it to achieve this. The adoption of printed navigational charts has also had a positive impact, the company said. For the year ending September 2016, the group revealed that emissions stood at 79.98g/passenger km. That was 1.3% lower than the previous year's total and 31% lower than the reading for the year 2000. Commenting on the reduction in emissions, EasyJet's head of carbon efficiency, Chris Foster, said: "We want to make sure we take our passengers where they want to go with the lowest carbon emissions. Through our efficiency programme, we continually look for ways to reduce fuel usage and emissions. "We are very pleased to have delivered emissions below 80 grams for each passenger kilometre for the first time and look forward to reaching our target of 77 grams by 2020." He added that the firm is achieving a "step change" in the environmental footprint of its fleet, with its carbon impact falling by a third in just two decades. Whichever airline people choose to holiday with, they shouldn't lose sight of the value of travel insurance. By getting the right cover for their needs, they can avoid expensive medical costs and tackle any transport disruption they encounter while abroad. Efforts are now being made by airlines around the world to cut carbon emissions. Last October saw the agreement of a global deal to curb greenhouse gas emissions from air travel, at talks led by the International Civil Aviation Organisation. The terms of this deal will take effect in 2021 and it will involve 65 different nations. Those involved will aim to offset emissions from international flights.